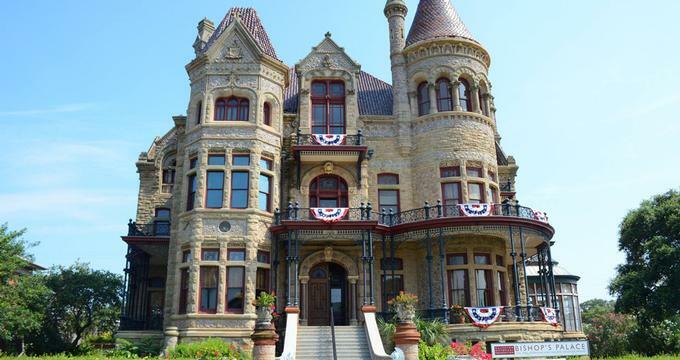 Texas is not the first place that comes to mind when you think of Medieval-style castles, but there are scores of these impressive buildings in Dallas, Sulphur Springs, Decatur, Center, and other cities and towns. Texas castles are not reminiscent of the monoliths in Spain, Wales, or Bavaria; instead they have their own unique architecture and historic flair. Castles cropped up in Texas during the Victorian era since it was popular at the time to hold court in castle-like buildings. 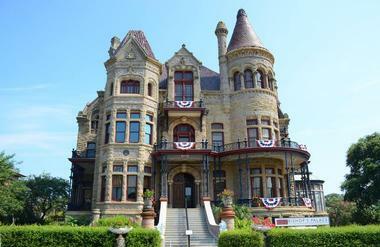 The Bishop's Palace, also known as the Gresham House, is a National Historic Landmark in Galveston, Texas. The mansion was built in 1887 for Colonel Joseph Gresham and his wife Josephine. Colonel Gresham was a prominent entrepreneur in the rail transport industry and a member of the Texas Legislature. Designed in the Chateauesque style, the Gresham House contains distinctive features like Sienna marble columns, fourteen-foot-tall ceilings, a mahogany stairwell with stained glass inlays, and a stunning wood fireplace. Visitors can take a guided or a self-guided tour of the Gresham House at any time of the year. "Basement to attic" tours are also offered once a month so that guests can get a glimpse at parts of the house that are typically off-limits. Situated 10 minutes from the town of New Braunfels, Texas, Castle Avalon is a popular wedding and party venue. The exterior of the castle features elegant stonework, large, ornate windows, wide balconies, and impressive towers. The grounds boast carefully manicured lawns, beautiful trees, and fancy hedges. 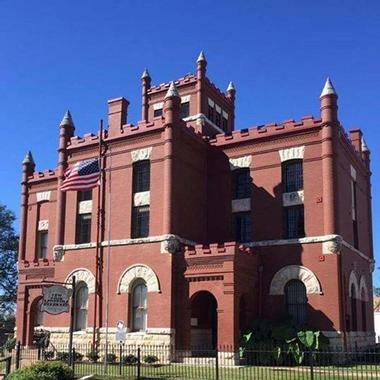 The Old Red Museum Castle is the former site of the Old Red Courthouse, a government building that was originally constructed in 1892. The ornate building has undergone many rounds of renovations in subsequent years, but it maintains its classic charm. One of the building's most iconic features is its 90-foot-tall clock tower. The brightly lit tower is one of the most unique sights along the Dallas skyline. Old Red also features more than 100 stained glass windows and a grand staircase that has been completely restored. The Old Red Museum contains an array of exhibits that are centered on Dallas' history and culture. New exhibits are added to the museum throughout the year to keep its collection fresh and exciting. The Maverick Carter House was built for real estate investor William H. Maverick. The Carter Family received the home in 1914 and continues to occupy it to this day. The stately castle stands out amid the office buildings and churches that are situated on the same street in downtown Antonio. Occasionally the Carter family uses the home for special events and parties. Texas businessman and developer Terry Young built Falkenstein Castle. He and his wife Kim visited Germany's world-famous Neuschwanstein Castle in the fall of 1995. During a guided tour, they learned all about the design plans for Neuschwanstein as well as the people involved in its construction. As they completed their tour, the couple passed through a gallery where they noticed several sketches of castles on the walls. Curiously, the sketches did not resemble Neuschwanstein Castle in the slightest. They asked their tour guide about the plans, and she referred them to the Castle Director, who informed the Youngs that they were indeed correct: the plans were for another castle called Falkenstein. Falkenstein was built approximately 20 kilometers from Neuschwanstein. To make a long story short, the Youngs ended up obtaining the floor plans for Falkenstein and building their own version of it in Burnet, Texas. The castle sits on 114 acres in Texas' beautiful Hill Country. The Trube Castle is recognized as one of the most distinctive and architecturally significant buildings in Texas. Built in 1890 by renowned architect Alfred Muller, the castle was occupied for years by John Clement Trube and his wife Veronica Durst Trube. The 7,000-square-foot castle was meant to imitate the timeless castles of Kiel, Denmark, where John Clement Trube spent most of his young life. The Texas Military Institute Castle is located in Downtown Austin. 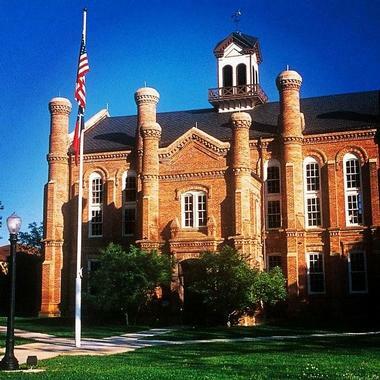 Founded in 1868, the Texas Military Institute constructed the castle to serve as a young men's preparatory school. The preparatory school closed in 1880, but the castle was used for two subsequent schools throughout the late 1800s. During the 1900s, private owners mostly occupied the castle. 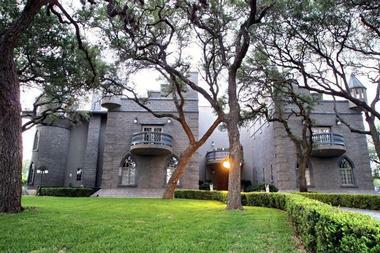 With its two distinctive towers and lofty position above Shoal Creek, the castle is well known among locals. Today, the building is used as an office space for a real estate company. The upscale Pemberton Heights neighborhood in Austin, Texas was once a quiet farm owned by Attorney General John Woods Harris. Now known as one of America's most posh neighborhoods, Pemberton Heights boasts the Fisher-Gideon House, a castle built in 1926. Situated at 1415 Wooldridge Drive, the castle used to be the sales office for the Pemberton Heights neighborhood. Now under private ownership, the castle is undergoing some renovations. In addition to its current owners, the Fisher-Gideon House has belonged to several famous Texans in the past. It's also rumored to be home to some famous ghosts. 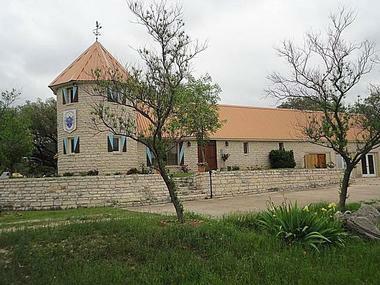 The Elisabet Ney Museum is housed in a cream-colored castle in Austin, Texas. The castle, known as Formosa, was purchased by sculptor Elisabet Ney in 1892 and converted into an art studio. At Formosa, Ney rendered sculptures of Texas' most famous men, including Stephen F. Austin and Sam Houston. She also completed portraits of influential Europeans like Otto Van Bismarck and King Ludwig II of Bavaria. After Elisabet Ney passed away in 1907, her friends worked together to preserve her beautiful workspace. They turned the studio into a museum and founded the Texas Fine Arts Association in her memory. Modern visitors can take a tour of the museum, attend special events, and join workshops and lectures at Formosa throughout the year. The Shelby County Courthouse was built in 1885. Known best for its 12 red brick towers, the courthouse is the only Irish-style castle in the United States. The building was assembled with more than 2 million bricks that Irish architect J.J.E. Gibson made with his own hands. Builders added some modern comforts like porcelain toilets and an air conditioning system during renovations in 2000. Some of the Shelby County Courthouse's quirky features include fireplaces in the bathrooms, an escape hatch next to the judge's chair, and a door in the front hallway that can only be opened from the inside. The YFZ (Yearning for Zion) Ranch is a property that once belonged the Fundamentalist Church of Jesus Christ of Latter-Day Saints (FLDS). The castle-like structure and surrounding buildings housed a community of 700 FLDS members in the Eldorado, Texas area. Built in 2003, the ranch contained a temple, a waste treatment facility, a meetinghouse, a residence for Warren Jeffs, the FLDS Church president, and a collection of gardens and grain silos. The community was raided in 2008 following reports of domestic violence. After a lengthy investigation and trial, the Texas government seized YFZ Ranch in 2012. Future plans for the ranch are unknown at this point. The General Land Office Castle was built in 1857. The Austin, Texas building is the oldest standing government office building in the city. It was also the first building to be created by a university-educated architect. The stately castle sits on the southeast corner of the Texas State Capitol grounds. Although it is known as the General Land Office Castle, the building hasn't housed offices since 1917. Instead, it has been the site of several museums. Now it is the Capitol Visitor's Center. Scores of people pass through the Land Office Castle every day to learn about Texas' history, its role as a state, and the establishment of the state capitol. The four-story Brown County Museum Castle was built in the early 1900s. 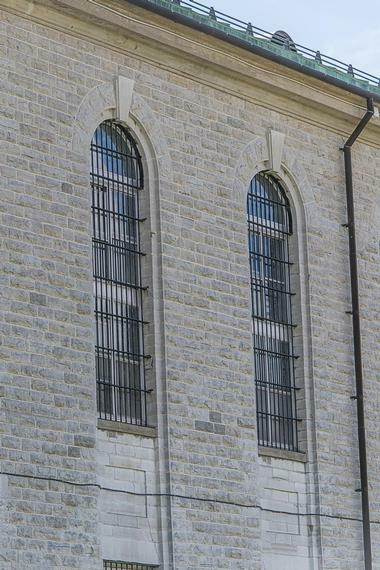 It took around 18 months to finish, and originally it was a jail and the home of the Brown County Sheriff. At the time of its construction, there were no cars or modern building tools available to simplify the process. Instead, the 18-by-18-inch sandstone slabs used to assemble the castle were chiseled out of the hillside by builders, heaved out of the earth by cables, pulleys, and wires, and then hauled to the construction site by mules. The building, now listed on the National Register of Historic Places, became a museum in the early 1980s. The museum gives visitors a close look at how the castle was built, its years of use as a jail, and its conversion into a tourist attraction. The Austin County Jail Castle is an elegant landmark in Bellevue, Texas. The red brick building is open for visitors on Saturdays. Volunteers lead tours from 11:00 AM to 3:00 PM. Following an orientation with a museum volunteer, visitors learn about how the castle was built and what it was like to be an inmate at the old Austin County Jail. The museum is filled with fun and educational exhibits for guests of all ages. The Lake Worth Castle is a sprawling estate located near Heron Bay. A local investor owns this 5,974-square-foot building. In addition to the main castle, there are two smaller houses on the property. 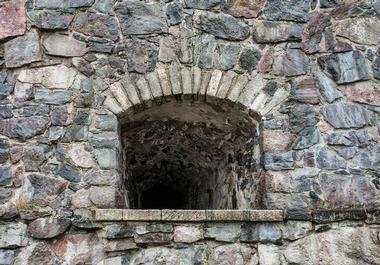 Although the history of the castle is a bit ambiguous, sources show that it was built in the 1920s and has been occupied by private owners ever since. Several prominent individuals, including Dwight D. Eisenhower and Jimmy Stewart, have spent nights at the castle. Lake Worth Castle has been subject to several fires, including a blaze in 2000 that severely damaged the entire structure. At one time, the castle was used for metaphysical classes for subjects like yoga and meditation. The owners of the castle at the time also hosted retreats for religious leaders. The Smythwick Castle and Lodge are located on an elegant 10-acre property in Texas Hill Country. The grounds include a massive castle as well as waterfalls, oak trees, tranquil ponds, a gazebo, and wandering peacocks. The Grand Hall—a coveted spot for weddings—features crystal chandeliers, a stone fireplace, and exquisite furnishings. Individuals and companies are both able to rent the castle and the grounds for all types of special events. It is also possible to borrow tents for large-scale outdoor gatherings. Lastly, guests have the option of spending the night in one of the castle's luxurious bedrooms after their event ends. Located in Kerrville, Texas, the Captain Charles Schreiner Mansion is on the list of Recorded Historic Texas Landmarks due to its stunning design and beautiful location. Captain Schreiner, a Texas Ranger and Confederate States Army Veteran, built the castle in 1879. Schreiner, a descendant of French nobles, commissioned the castle after making a fortune as a merchant and a rancher. Although a local architect planned the castle, German and Italian design elements are displayed in the castle's columns and exterior. Schreiner imported his labor force from Europe to ensure the authenticity of these elements. 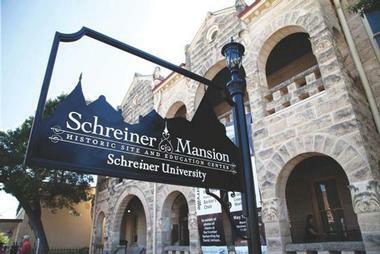 The six-bedroom, two-story castle is now home to Schreiner University's Hill Country Museum.